When Should You Visit Toronto? Toronto is always at the top of many people’s lists when they want to visit Canada. However, trying to work out when the best time to visit can be a little on the tricky side. You may not want to visit during the high season but you might also not want to visit in winter when it is freezing. 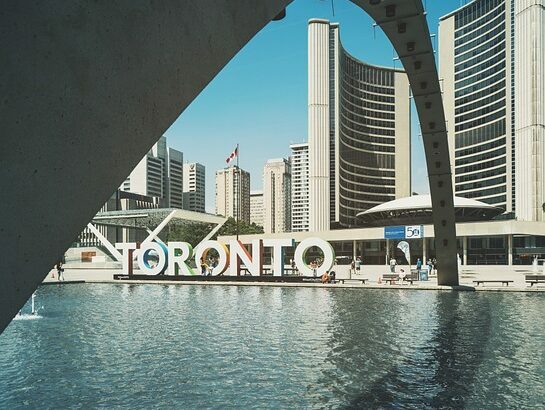 Here are some of the things you should consider when you wish to visit this city, so you can book your flights to Toronto safe in the knowledge that you have picked the right time to go. This is one of the seasons which is recommended if you want to visit Toronto. It is thought that April or May are two of the better months to visit. The temperature rests between the 40s and the 60s, making it not too hot and not too cold for everyone visiting. Make sure you pack a raincoat so you don’t get caught in the showers and get ready for some of the best sights of the city as winter falls behind. 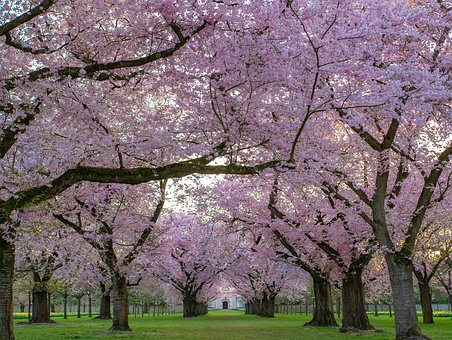 One of the prettiest sights you will find is the cherry blossoms in High Park. You can even check out a Cherry Blossom tracker to ensure that you are visiting at precisely the right time. Try to avoid the park at the weekends as this is when most people are likely to cram in for their own view. You should also head to Tommy Thompson Park for International Migratory Bird Day. See the birds in all their glory and jump in a class to learn a little more about them. The many outdoor markets of Toronto also begin to return in Spring. Whether you are browsing a farmer’s market for something cool to eat or a street festival with local goods and handmade artworks, there is always plenty for you to see and do in the warm, spring air. Summer is one of the best times to go to Toronto but it is also the busiest. As the sun comes out and the temperatures rise, so do the locals and the tourists flock to the city’s outdoor spaces. Nevertheless, there is always something for you to do! One of the best things to do in summer is take a ferry to the Toronto Islands. Explore them on foot and wonder at their beauty before heading back to the city to join in on the Toronto Jazz festival. The daredevils among you might also enjoy a day out at Canada’s Wonderland. This is one of the best theme parks in Canada and has 200 attractions and a 20-acre water park plus the tallest and fastest rollercoaster in the country. Kids will love Planet Snoopy and the “Dinosaurs Alive!” exhibit making this a great place to stop with your family. 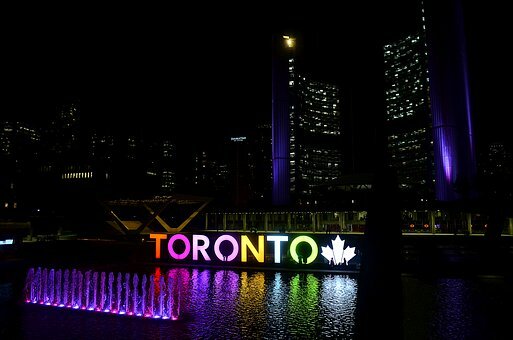 Summer, and specifically June, is also a great time to visit as this is when Toronto Pride kicks off. This is one of the biggest Pride celebrations in the world and it is a party which is not to be missed. With DJ sets, Drag Queens and more, you can look forward to events all over the city. It’s not all about the party however; there is a great timetable of events including celebrations of diversity and various activism events. You will be able to attend inter-religious events, vigils for AIDS victims and more. When you want to party, you can do so. When you want to be a little more sombre, you can do so. The choice is completely up to you. It is a fantastic affair from start to finish. If you want to wait until things quieten down a little, you should definitely wait until the temperature drops and autumn arrives. This is when you can often find great deals for your airfare; for example Porter Airlines offers flights to Toronto which you can find more information on here. Don’t think that the city slows down just because it is getting colder. Autumn means the JFL42 Comedy Festival which sees some of the top comedians roll into town to make everyone laugh. It is also time for the Royal Agricultural Winter Fair which is the perfect time to explore the city’s roots and take in some horse shows. You can also get involved with the all-night party which is Nuit Blanche. If you are looking to enjoy some art at every turn, this is the right festival for you. Kicking off everything is the Toronto International Film Festival. Whether you are looking to grab an amazing international film or see what the directors and film makers of Canada have been up to, there is plenty to see and do while the festival is underway. If you like to call yourself a film-buff, you should definitely make sure that you are in town for the festivities. The temperature has dropped and the snow is on its way, but that does not mean that Toronto is going to sleep. If you are from a warmer climate then you might not be able to handle the icy blasts on the surface but that is where the PATH comes in. The PATH is an underground pedestrian walkway which allows you to move around the city without succumbing to the temperatures above. There are shops, subway entrances, attractions, restaurants; you name it, the PATH will have a link to it. Picking up a map and learning how to navigate yourself around is a must. It is open all year around so make sure that you check it out even if you don’t need to take shelter from the icy wind and snow. Winter also means Christmas. The Toronto Christmas market takes place in the beautiful cobbled streets of the Distillery District. If you have little ones with you, a trip to see the Santa Parade is sure to result in some memories that will last a lifetime. The Toronto Light festival takes place in the same district from January to March and it is a spectacle which is not to be missed. 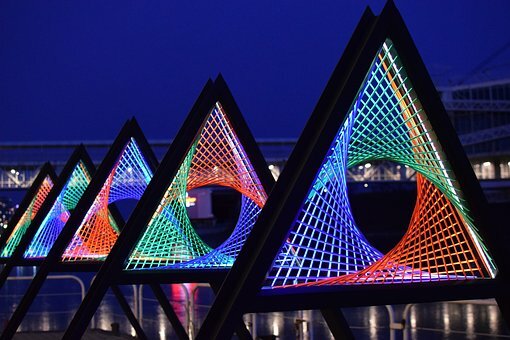 Artists come from all over the world to create new and interesting light displays to light up the streets with. You will want to miss it. Trying to decide when to go might be one of the most difficult decisions you make if you want to visit Toronto. One of the easiest ways to decide where to go is to pick one of the many events happening there throughout the year. Want to celebrate Pride? You need to go in summer. Ready for the film festival or the comedy festival? Autumn is calling your name. Want to avoid some of the heavy crowds and enjoy a milder time of year? Spring is for you. Think about what you want to get out of Toronto and use that as a factor in when you decide to visit. No matter when you decide to visit, Toronto is likely to welcome you with open arms. It is one of the friendliest cities in the world and it has some terrific opportunities for those looking for both adventure and time away. 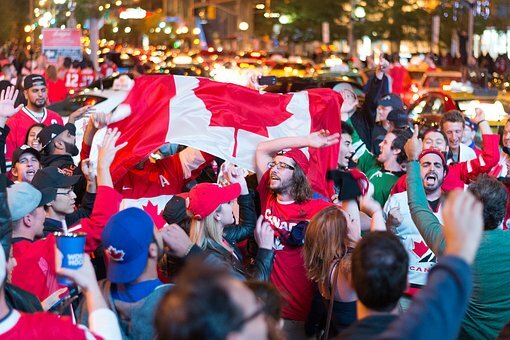 Start planning your Toronto trip now.